1. 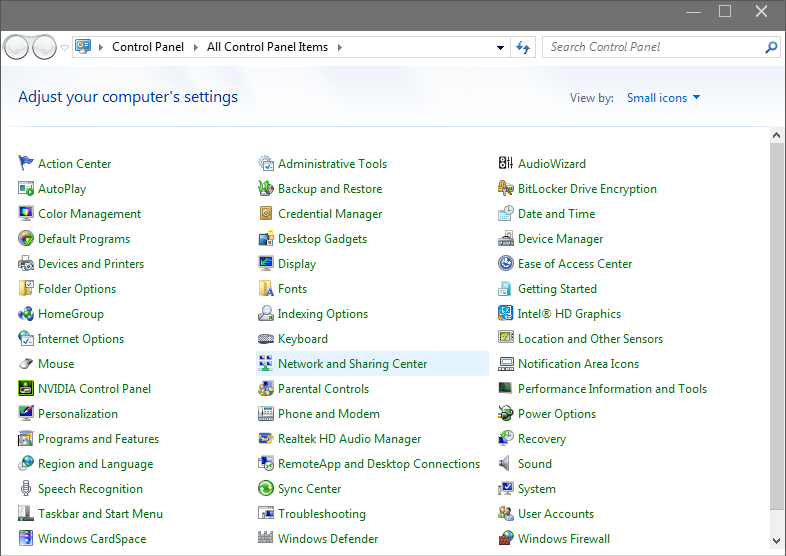 Open Networks and Sharing Center from Control Panel. 2. 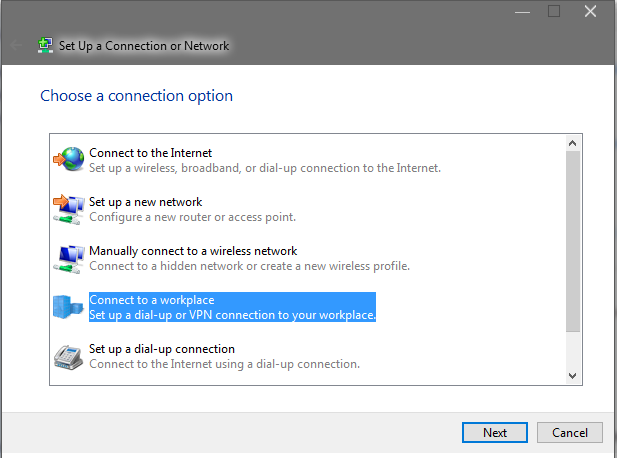 Then choose Set up a new connection or network. 3. 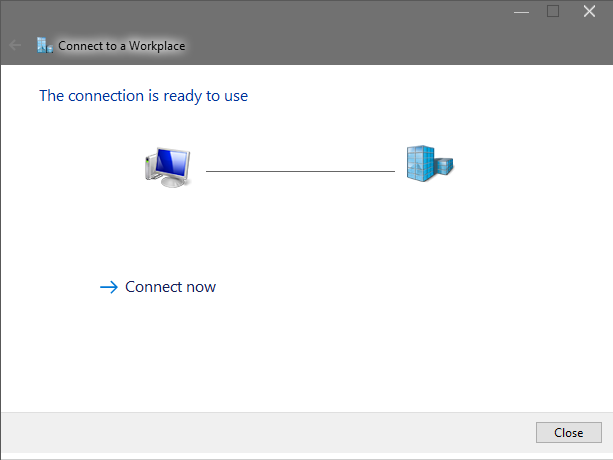 Choose Connect to a workplace and click Next. 5. 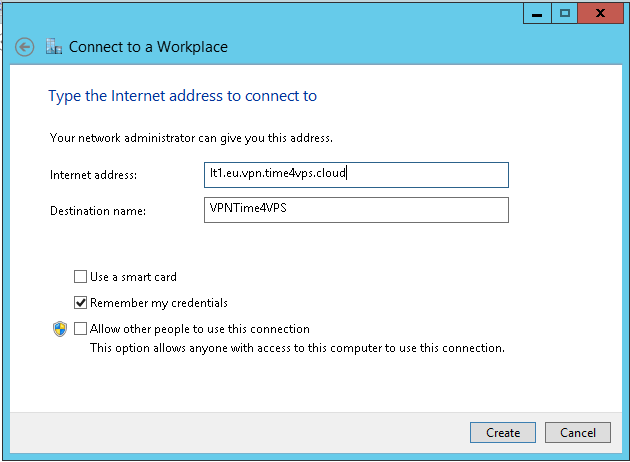 In Internet address field type the IP address of a Time4VPS VPN server. You can find all the available servers in the package details in the Client system. In Destination name field type desired VPN name. Also check the Dont connect now; just set it up so I can connect later. 6. Enter your VPN username and password. You can find them in the client system on our website, by going to your package. Make sure you use your VPN username and password and NOT the client area credentials. Click Create. 7. You should see this screen next. 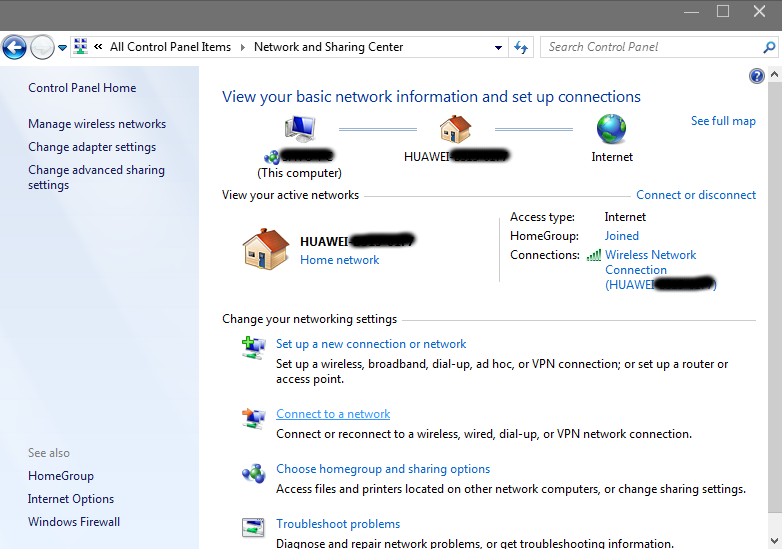 Click the Close button to return to the Network and Internet screen. 8. 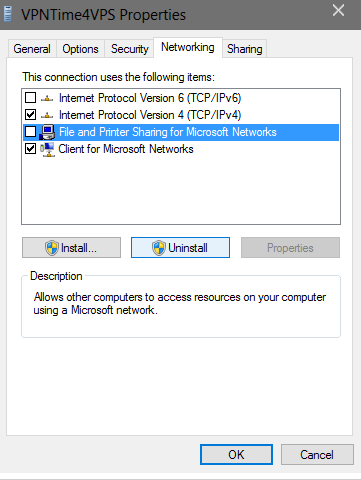 Click on Connect to a network. 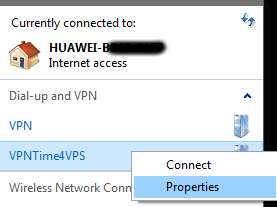 In the Connect to a network screen, you should see the VPNTime4VPS connection that you have just set up. Right click on it and select Properties. 9. Select Security Tab. 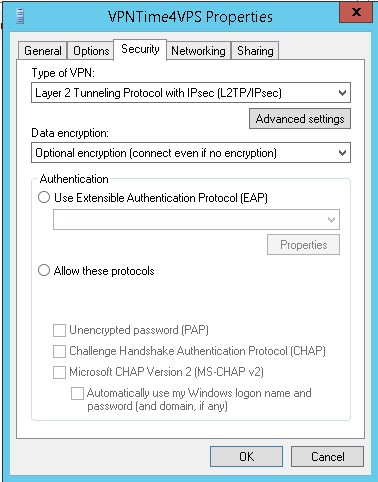 On Type of VPN select Layer 2 Tunneling Protocol with IPsec (L2TP/IPsec), in Data encryption field select Optional encryption (connect even if no encryption), then click on the Advanced Settings. 10. In the IPsec Settings dialog, click the radio button labelled Use preshared key for authentication. 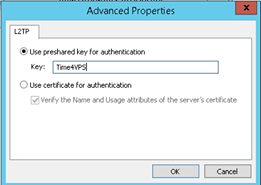 Type Time4vps into the textbox labelled Key. Click the OK button. 11. Select Networking Tab. Put the tickles as its shown on the following picture. Click OK to save your settings. 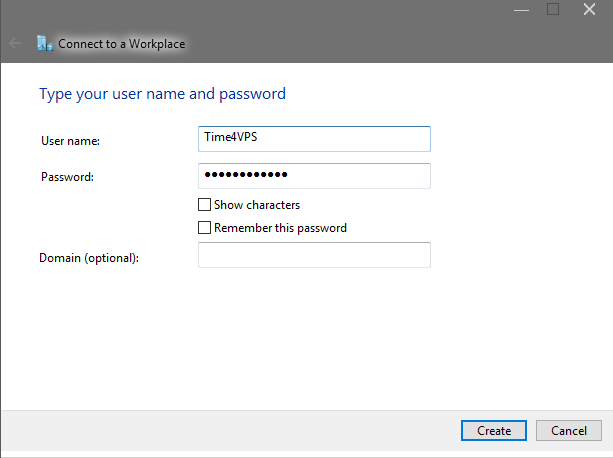 In order to connect/disconnect to Time4VPS VPN right click on the connection icon (viewable at Change adapter settings) and select connect/disconnect. 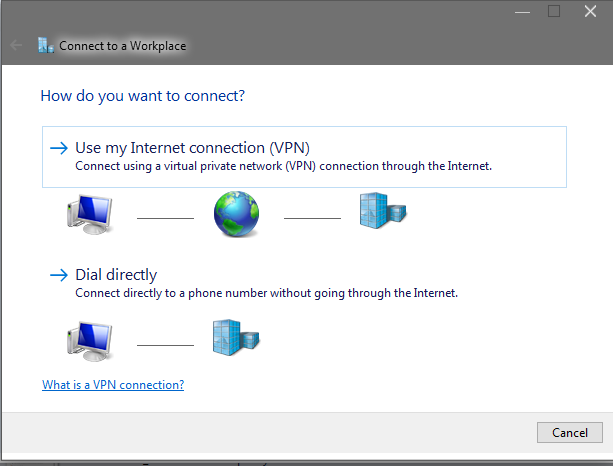 To disconnect from a VPN connection, right-click the icon for the connection then click Disconnect.